If you are looking for a stylish and durable solution for your kitchen and bathroom countertops, then Quartz countertops are the perfect solution for your Chicago home. There is a reason that Quartz countertops are growing in popularity: they offer beauty and durability at the same time. Whether you are building a new home or office, or you are remodeling your home, you should consider Quartz countertops in the new design. 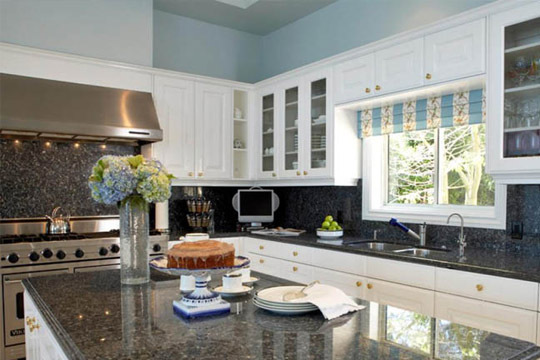 Why Should I Choose Quartz Countertops? 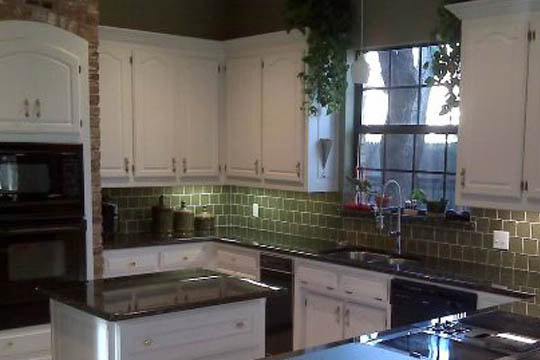 Are you looking at other countertop materials because you are concerned about the cost of Quartz countertops in Chicago? Some people don't think that Quartz countertops will fit within their budget, but the truth is that they should be considered because there are so many wonderful benefits that can be gained from a stone countertop. Even though the Quartz is a little more expensive, it's worth the additional cost because of the many benefits that you will receive from these countertops. They are very durable and they are built to last. In fact, if you take care of the Quartz, then the countertop might never need to be replaced! It is the best long-term solution that you could choose for your home. Another advantage to Quartz countertops in Chicago is the fact that they are stylish and beautiful, and they add a luxurious touch to your home. 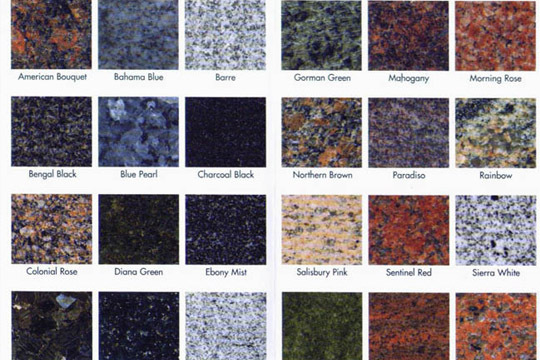 You can select from different colors of Quartz, to make sure the counters blend in with the rest of your home. 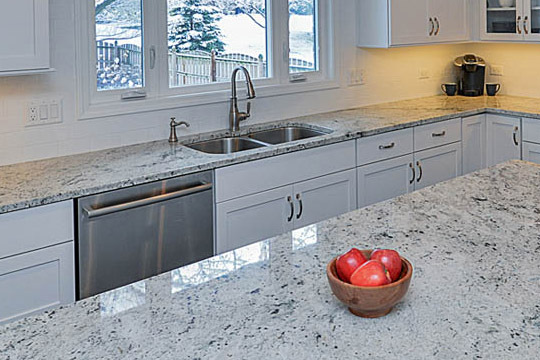 Installing Quartz countertops in your home is a good way to increase the value of your home. If you are planning to sell your home, then installing new countertops might be an effective way to capture the attention of potential buyers because they will see the nice finishes that have been added to the home. There are many possible places that Quartz can be installed in your home. The most common method is to use the Quartz as countertops in the kitchen and bathrooms, but if you look in other areas of your home you will find additional options. For example, Quartz countertops can be beautiful and convenient in a laundry room or craft room, or you might choose to have the Quartz installed in a shower. When you see how beautiful Quartz countertops look, you will want to have more Quartz slabs installed into other areas of your home. You might consider using Quartz for fireplaces and mantels, because it holds up well in a heated area. Another option is to have Quartz added to a built-in entertainment center or shelving unit. It is exciting to have a Chicago Quartz countertop installer come to your home to put in the new countertops, and you need to make sure that you are properly caring for the surfaces after the installer leaves. Some people make the mistake of assuming that these countertops are indestructible, but the truth is that there are a few things that you should do in order to prevent damage and protect the durability of the stone. As an example, the shiny finish of the stone might wear off if it's isn't properly cared for, which can create a porous surface. When the surface turns porous, it can be a problem because those pores can trap stains, germs, and odors within the stone. It is possible to avoid these problems with the proper care though, and you should schedule a maintenance appointment with your countertop installer to polish the stone if needed. When Quartz countertops are properly sealed and cleaned, they can be preserved for many years. It is simple to care for Quartz countertops, because they can be quickly wiped down with a mild detergent mix. These surfaces are very sanitary, and reduce the microbial activity in the kitchen. The stone slabs are created using heat and pressure, which allows you to set down a hot pan on the countertop without causing damage to the stone.